Seven buildings to start your town. Inspired by the Brownstone style buildings found in New York, Chicago, and the New England region as well as other regions in America. Models could even work in other regions like along the canals in Amsterdam or any major city. 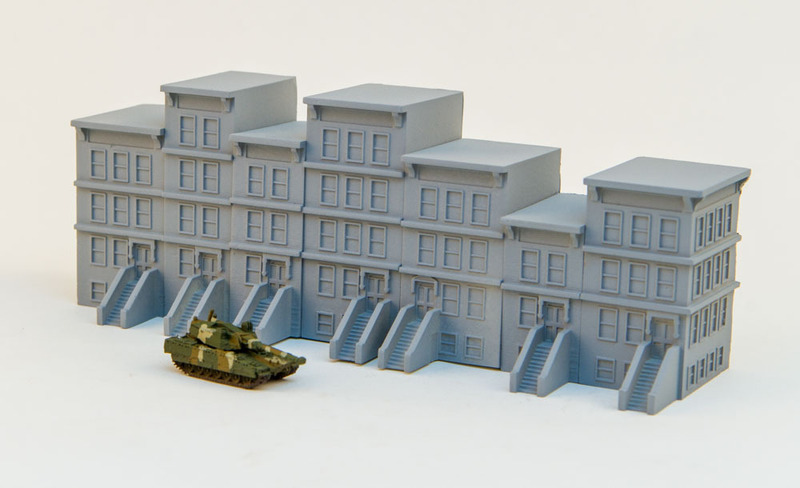 Depending on how you finish the kit, it could fit many areas. 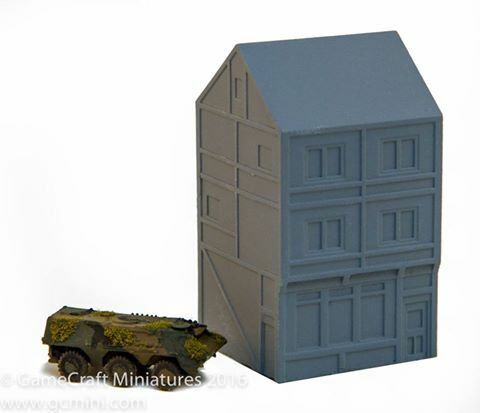 Great for Military Wargames, Zombie, Gangster and Sci-Fi type games. 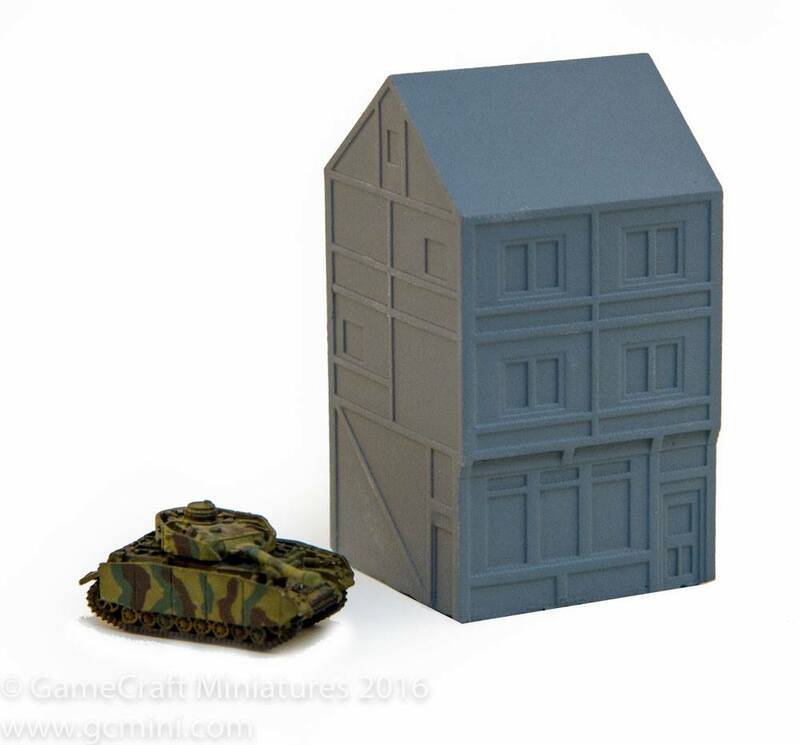 Another new 6mm Euro style building added to the site today. 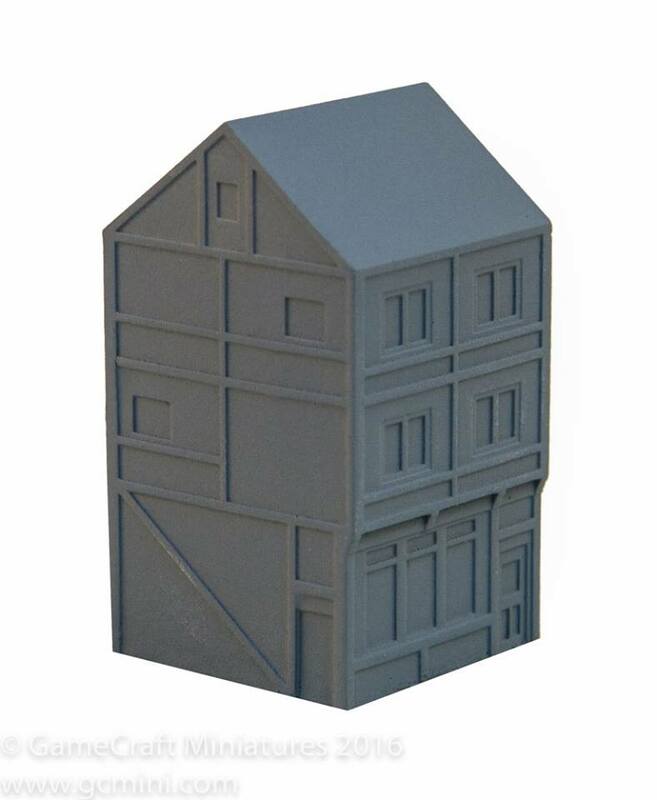 This one is very similar to one of the ones that comes in the starter pack... but this one is three stories tall instead of two. 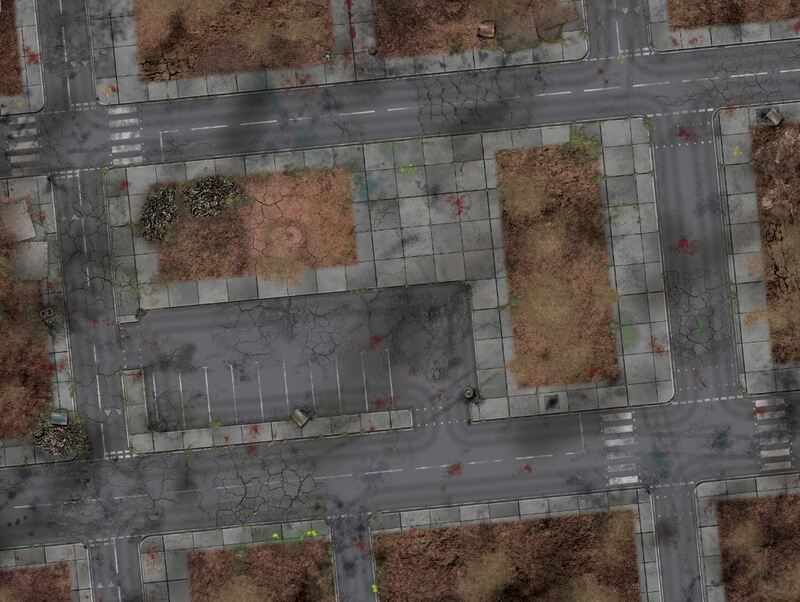 Tinywargames have released a new Zombie mat with UK road markings, blood spatters and general roughness, 4 x 3 feet in rubber or cloth, ideal for any zombie scenario. 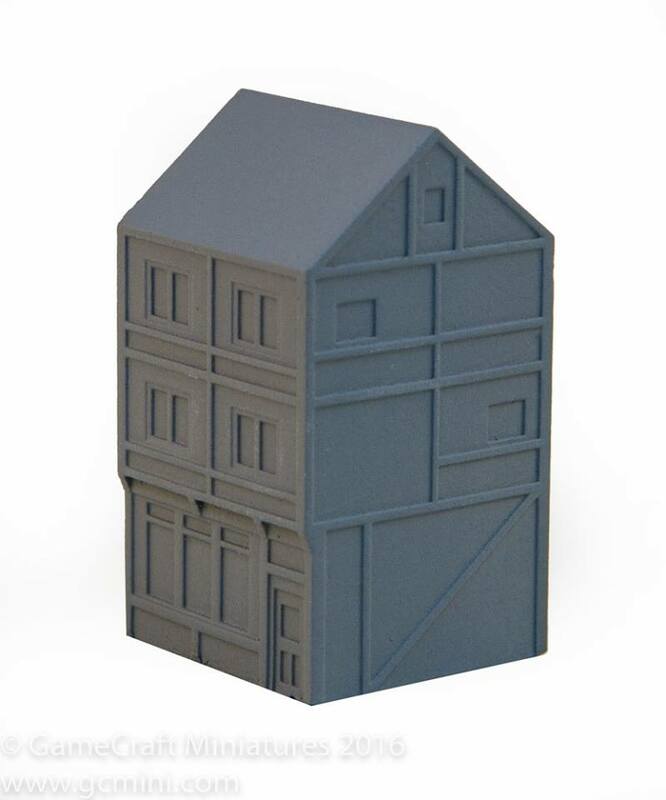 More of the 20mm Modern range of figures from MJ figures, which are exclusively available from Battle Studios in the UK/EU, have been added to our website. 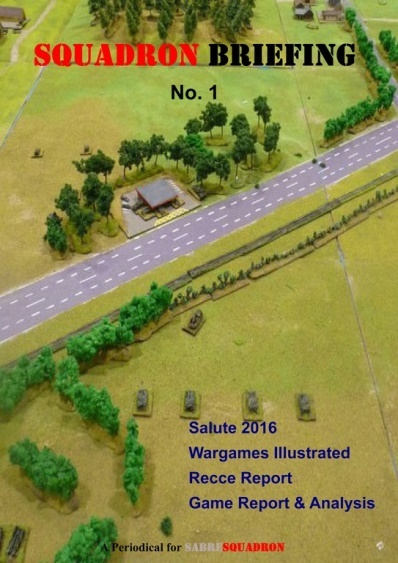 Range includes Modern British, Georgians,Taliban, African Rebels and Modern Mercs. Also available a Modern News crew and some very handy Weapon packs.